It's finally autumn - my favorite season! That time of year when you can wear sweaters, scarves, boots, and jackets! (Well, if you live in the northeast...) Speaking of jackets, I bought myself a denim one months ago, back when the weather was waaaaay too warm to wear it. I never thought I'd be a denim jacket wearer, but it got sent to me in one of my trunks, and I fell in love. Shawn thinks it's super ridiculous 90's. I love that it instantly makes anything you wear with it casual, so I fully intend to wear it over all my dresses! I've also been looking at pins and patches like crazy since I got it. I haven't bought any yet, but I thought it would be fun to do a little round-up of my favorites. So, here ya go! Are you currently re-living the 90's with a denim jacket of your own? 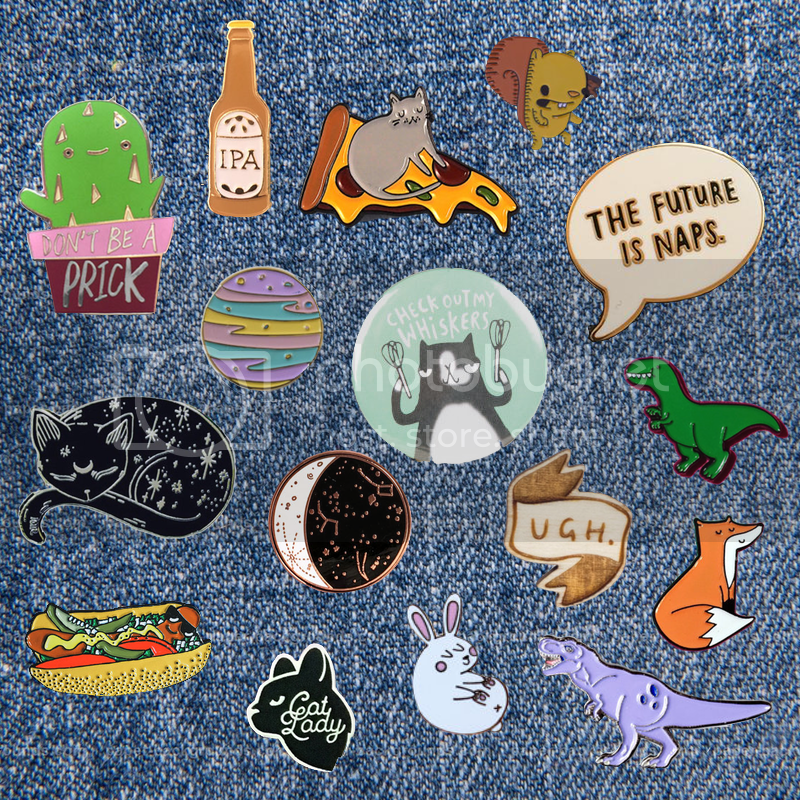 What pins are you diggin' these days?